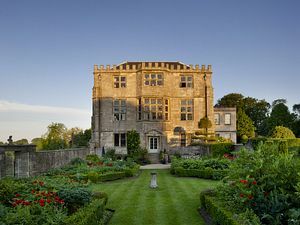 Newark Park was built as a hunting lodge by courtier Sir Nicholas Poyntz in a wonderful situation in the Cotswolds with fine views down to the River Severn. His family home was Acton Court, about 10 miles away, on the outskirts of Bristol. the Dissolution of the Monasteries in 1539. Some remains of the former abbey and much of the prepared stone was incorporated into the new building. 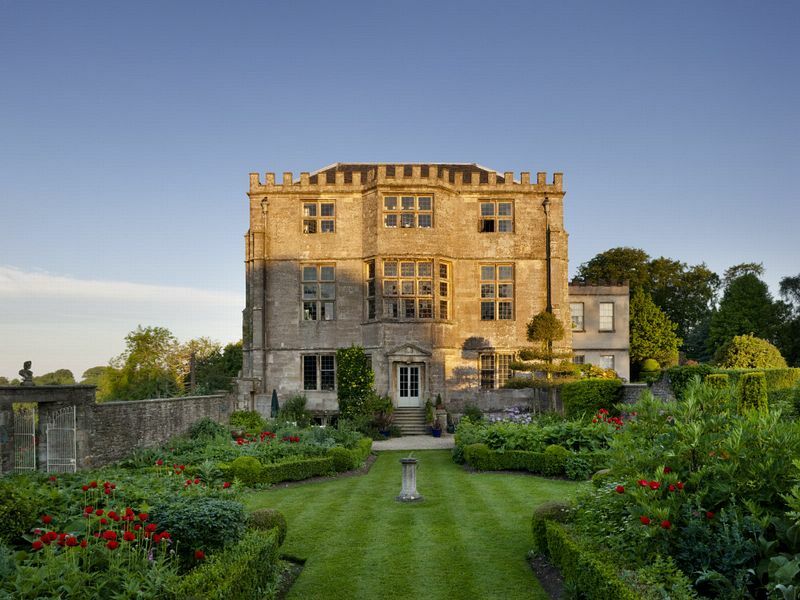 The top two floors of the lodge were designed as Banqueting Halls and bedrooms for guests, from which fine views of the surrounding 700 acre deer park and woodland could be enjoyed. The ground floor had various reception rooms and the kitchens were in the basement. The house was remodelled by James Wyatt in the 1790s for the Clutterbuck family who converted it from a hunting lodge into a family residence. Fortunately the Tudor fireplaces and the fantastic dragon weathervane with its long coiled tail on the rooftop were kept intact. The additional block was added to the rear of the property and has more neo-classical interiors. The cantilevered staircase was one of Wyatt's most impressive additions. A tour of the interior reveals a mix of furnishings from many periods. Modern art is displayed with period furniture and an eclectic collection of artifacts from around the globe are now on display. The formal gardens were laid out more recently by Mr Robert Parsons, a tenant at Newark Park from 1970 until 1994. 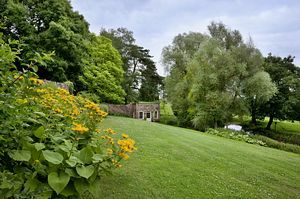 The wild bulb garden and the rock gardens created in the late 19th century still occupy the slopes of the valley below the lodge and offer long walks with breathtaking views of the Mendips. At the base of the sloping gardens a small summer house with delightful windows looks out across a small lake. It was once buried beneath the tangled overgrowth along with the nearby walled garden which is now being restored. 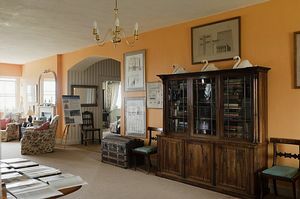 Guests are invited to stay in part of Newark Hall which has been converted by The National Trust into a self-catering apartment, but be warned. Local legend has it that the spirits of the monks still live here, haunting the stones which were once part of their former Abbey. First 309, 310 Bristol–Dursley, alight Wotton-under-Edge, 1 miles. Frequent services link Bristol Temple Meads with the bus station. 1 miles east of Wotton-under-Edge, 1 miles south of junction of A4135 and B4058, follow signs for Ozleworth. House signposted from main road.